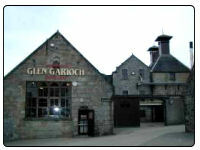 Glen Garioch Scotch Whisky Distillery was built in 1797 and is set in the Highland region of Scotland. With this distillery so old it is regarded are one of the oldest distilleries in Scotland still producing whisky. Main bottles it produces are Glen Garioch 8 Year Old Single Malt, Glen Garioch 15 Year Old Single Malt and Glen Garioch 21 Year Old Single Malt. They also made a 200 year anniversary bottle to mark that special day. The contact details for the distillery are Glen Garioch Distillery, Old Meldrum, Aberdeenshire, AB51 0ES and the phone number is +44 (0)1651 873450. There is no visitor centre. If you would like to see local accommoadtion near this distillery for your whisky trail please visit the page on this site for the Accommodation near Glen Garioch Scotch Whisky distillery.